National Carers Week takes place this month, from October 14 to October 20, 2018 – and is all about recognising and celebrating the amazing positive difference that Australia’s 2.7 million unpaid carers make to our families, communities and the national economy. These carers provide 36 million hours of care and support every week to a family member or friend who has a disability, mental illness, drug and/or alcohol dependency, chronic condition, terminal illness or who is frail. The replacement value of that unpaid care is $1.1 billion per week, according to Carers NSW Australia. If all carers stopped performing their caring roles, it would cost the country $60.3 billion per year to replace those supports. National Carers’ Week acknowledges and celebrates the invaluable contribution made by local carers and seeks to ensure that carers take time out, relax, connect, pick up new information and most of all – have fun! Carers and their loved-ones are invited to a day of relaxation and entertainment. Enjoy meditation, craft and health tips while your loved-one is offered gentle exercise, craft and music to participate in. A chef will produce a three course BBQ meal. Anyone caring for a family member or friend is invited to join Carers NSW at Carers’ Day Out at Redfern Community Centre. There will be a BBQ lunch, health and wellness information, gardening, art, live entertainment and lucky door prizes. Carers and their loved ones are invited to a screening of a new release film, ‘Ladies in Black’. Adapted from the best-selling novel by Madeleine St John, the movie is a tender-hearted comedy about the lives of a group of department store employees in 1959 in Sydney. Bookings are essential, tel: 9998 2900. A truly relaxing day in a local setting with convenient parking. To kick-start the day, enjoy a meditation session before a massage and manicure. Then, create some original hand-made cards in our craft session. Respite services at Oxley Home Care enable carers to take a break from their caring role for a few hours. By caring for themselves, they can sustain the care they are providing for longer. Respite care can include personal care and grooming, domestic and laundry assistance, meal preparation and cooking, transport and outings, companionship and social support. 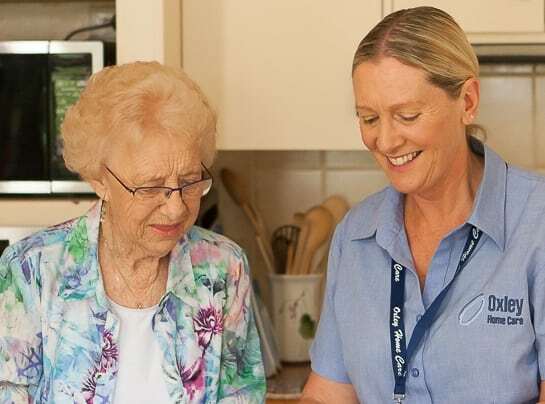 Oxley Home Care has been helping Australians live independently at home for over 10 years in Sydney. We are an Approved Provider for Government funded Home Care Packages and provide Private Care services throughout Sydney. A Home Care Package with Oxley Home Care can help you live in the comfort of your own home, maintain your independence and quality of life. For more information, please feel free to call us on 1300 993 591. What do I need, to find a career in Aged Care?